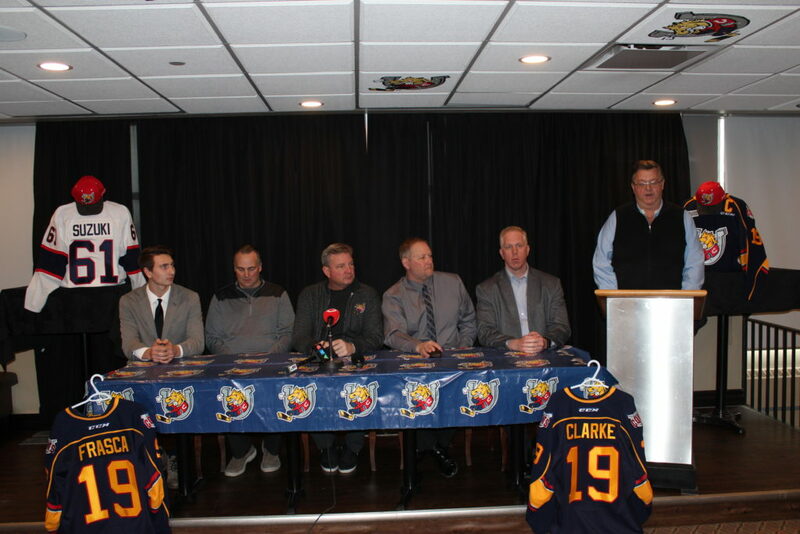 Barrie, ON– The Barrie Colts Junior Hockey Club made 3 major announcements Saturday afternoon at a press conference held at the Barrie Molson Centre. The first announcement of the day was welcoming our 1stround pick (#4 overall) Brandt Clarke of the Don Mills Flyers. The 6’1” defenseman from Ottawa put up an impressive 35 goals, 78 assist for 113 points in just 73 games. He followed that by collecting another 11 points in the OHL Cup en route to capturing the title in overtime against the Toronto Red Wings. Clarke was the 3rdDon Mill Flyer selected in the first four picks of the draft, following Shane Wright (1stoverall) and Brennen Othmann (2ndoverall). With Barrie’s 2ndselection of the draft we selected, Ryan Del Monte, Centre from the Toronto Young Nationals. The 5’11 forward collected 30 points this season with the club. In the 3rdround, Barrie selected another centreman in Jacob Frasca from the Mississauga Senators. The big forward stands 6’3” and collected 30 points with the Senators. 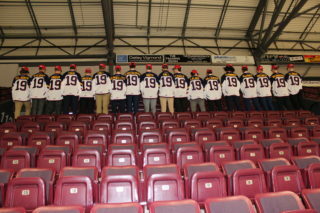 That was followed by a big announcement about the future of the Barrie Colts coaching staff and management. Firstly, the team announced re-signing of Head Coach, Dale Hawerchuk to a 4-year contract. The Hockey Hall of Famer is the longest serving Head Coach in team history as he just finished his 9thseason behind the Colts bench. Despite missing the playoffs this year, he carries an excellent record as the bench boss in Barrie. In 612 games coached, his record is 305-269-38. Making the playoffs in 7 of his 9 years with the Colts, he has taken the team to the OHL finals once, along with one trip to the 3rdround and four others to the 2ndround of the OHL playoffs. Along with his impressive junior coaching resume, he obviously brings an exceptional hockey mind after his NHL playing experience. Currently sitting 20thall-time in career NHL points with 1409, including six 100-point seasons. The 1981-82 Calder Trophy winner remains as the perfect fit here in Barrie. “We’re thrilled to have Dale staying as head coach of the team. Dale shares our passion and desire to bring a Memorial Cup here to Barrie and that shows with a new 4 year commitment to that goal”, said Howie Campbell, President of the Barrie Colts. Another announcement within Hockey Operations of the Barrie Colts was welcoming back Marty Williamson. Marty will take on the role of Senior Advisor to the Director of Hockey Operations. Williamson will continue his role as Head Coach of the Brock Badgers Mens hockey team along with his new duties with the Colts. The Markham, Ontario native has been welcomed back to the team after serving six years as Head Coach of the Barrie Colts from 2004-2010. “Marty returns to our team bringing tremendous experience and a strong commitment to winning. He has had success at every at every level and we know he will be a great addition in shaping Barrie’s future with Dale and Jason” said Barrie Colts President and Owner Howie Campbell. “We are in excellent shape for the future”, he added. Finally, the brand new Collingwood Colts officially introduced their coaching staff and management. The team has named Greg Johnston as Head Coach of the Colts Junior A affiliate, along with Nick Rica as an Associate Coach. The team also introduced Dermot Anderson as the General Manager of the club. “We are pleased to welcome Dermot Anderson, Greg Johnston and Nick Rica to the Collingwood Colts Organization in our inaugural season”, said Owner and Team President David Steele. 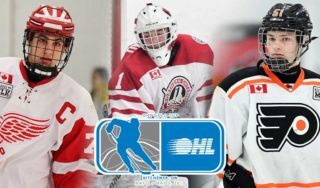 “Dermot Anderson’s experience in the OJHL along with his connections to draft age players offers Collingwood a huge head start over the opposition for next season. Johnston, formally with the Boston Bruins, and recently the Barrie AAA coach with a record of 24-7-3, will bring both experience and success to the bench in the Eddie Bush Arena, and Rica is a long standing successful AAA Coach with the North Central Predators and offers a local connection to players within Simcoe Region”, Steele added. The Barrie Colts and Collingwood Colts organization are excited about the announcements today and look forward to seeing what the future holds between the two franchises.